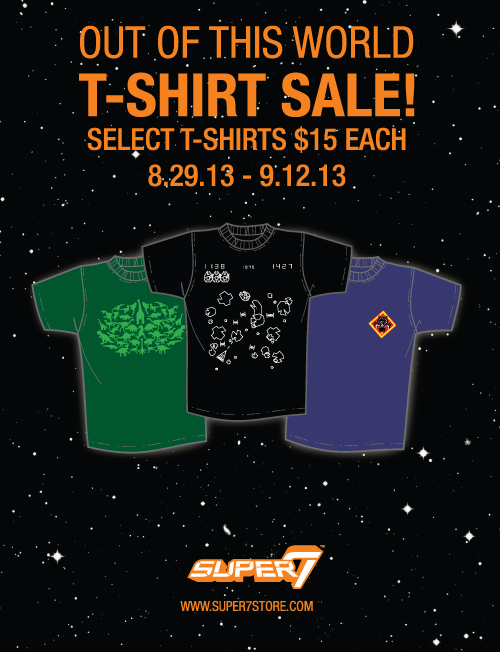 Super7 is having an out of this world T-Shirt Sale! Now is your chance to pick up some of your favorite designs for the bargain price of $15 each. Select T-Shirt designs will be on sale from this Thursday, August 29th until Thursday September 12th. Check out the sale shirts here!